The little Mermaid is celebrating 30 years with a treasure of a treat! We all know the classic tale of The Little Mermaid and the fun sing-alongs it inspires and we cant ever stop singing them. Thank you to Disney for the surprise treasures to help us celebrate at home. We love The Little Mermaid and all our thoughts are our own. From the time I was a little girl watching The Little Mermaid with my family to the present day sharing my favorite Disney Princess movie with my own kids, this timeless classic has been part of our lives for 30 years. A funny, touching, family oriented flick with a bunch of sing a long catchy tunes to keep you hooked. What I LOVE... My son and daughter watch The Little Mermaid together since Disney brings out the magic moments event for brother and sister who are 4.5 years apart. Home from Science camp to a surprise!!!! Yay! It's a fin of a whirlwind tale if we've ever seen one before.. have you seen The Little Mermaid?! Lets Celebrate... "In honor of its 30th anniversary, two-time Academy Award®-winner(Best Original Score and Best Original Song “Under the Sea,” 1989) “The Little Mermaid,” dives into the highly celebrated Walt Disney Signature Collection with all-new bonus features and a sing-along mode. The magical, musical tale of mermaid princess Ariel — along with loveable sidekicks Sebastian and Flounder, and the love-to-hate sea witch Ursula — is shore to make a splash with all generations when it comes home for the first time Digitally in HD, 4K Ultra HD and Movies Anywhere on Feb. 12, andon 4K Ultra HD and Blu-ray™ on Feb. 26. 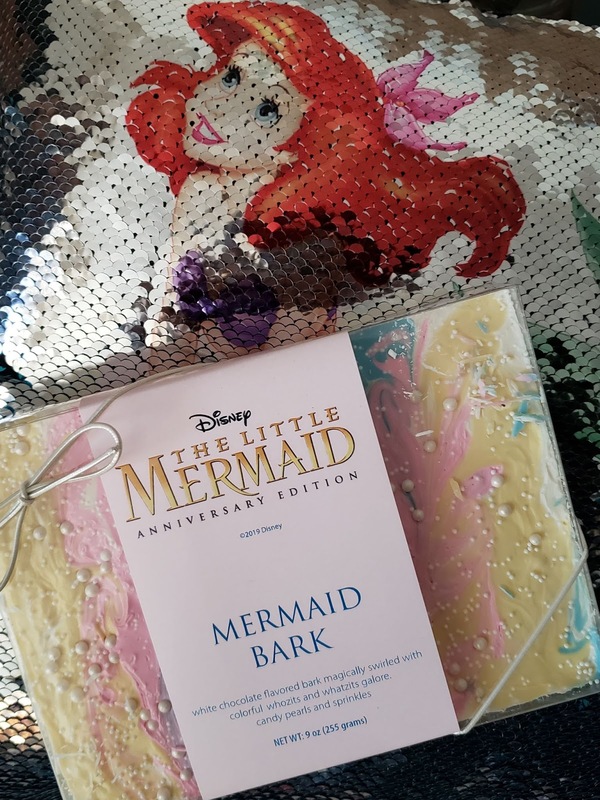 The Signature Edition of “The Little Mermaid” showcases its award-winning musical score and iconicsongs such as “Under the Sea” and “Part of Your World” with a sing-along mode allowing you toaccompany this beloved cast of characters on their journey. Never-before-seen bonus features bringlegendary composer Alan Menken and some of Disney’s most recognizable leading ladies togetheraround a piano to reminisce, sing and celebrate “The Little Mermaid.” The latest installment of “Storiesfrom Walt’s Office” compares Walt and Ariel’s love of collecting treasures. Viewers will also receive an inside look at the “The Little Mermaid” cast in their original recording sessions, explore hidden treasuresand fun facts from the film, and enjoy a special performance of “Part of Your World” by a cappella singingsensation DCapella. Based on Hans Christian Andersen’s classic fairy tale about a beautiful mermaid princess who dreamsof becoming human, “The Little Mermaid” was directed by John Musker and Ron Clements (“Aladdin”).It features the voice talents of Jodi Benson (“Toy Story 2,” “Toy Story 3”) as Ariel, Pat Carroll (“Laverne& Shirley”) as Ursula, Samuel E. Wright (Broadway’s “The Lion King”) as Sebastian, Christopher DanielBarnes (“The Brady Bunch Movie”) as Eric, Kenneth Mars (“Young Frankenstein”) as Triton, BuddyHackett (“The Music Man”) as Scuttle, Jason Marin (“Back to the Future”) as Flounder and RenéAuberjonois (“The Patriot”) as Chef Louis. The film was originally released in theaters on Nov. 15, 1989and is the 28th film from Walt Disney Animation Studios, and the first in what many described as a newDisney animation renaissance." 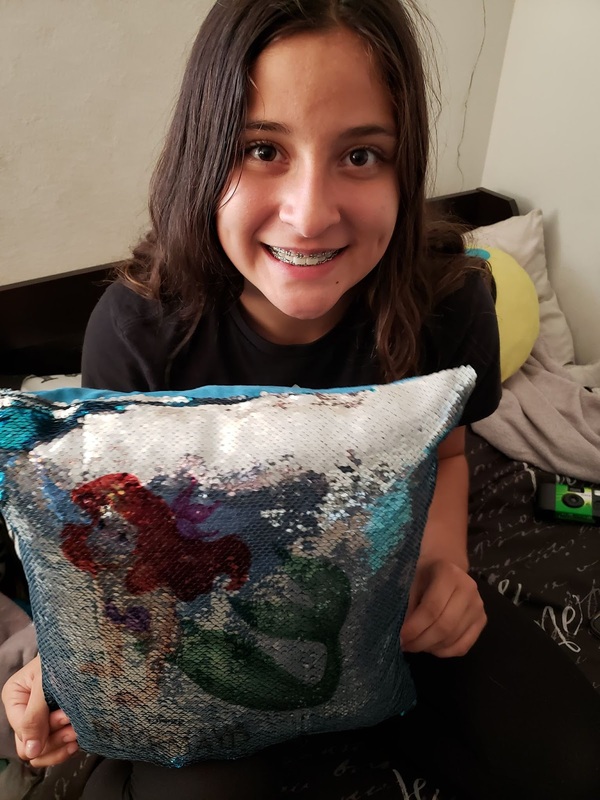 To celebrate this fantastic love for all thing The Little Mermaid we had a movie night in with all things sea inspired. Our viewing party was so much fun and filled with sweet treats and family time. What can be better than that? We are grateful for the memories we share and the traditions that we create with our family. Disney seems to bring that out in us a lot. Sing-Along Mode – Sing along to the movie in this sing-along version of the film. Alan Menken & the Leading Ladies Song – From the voice of a mermaid to the tunes of a muse, themusic of Alan Menken has scored the soundtrack for some of Disney’s most iconic leading ladies. 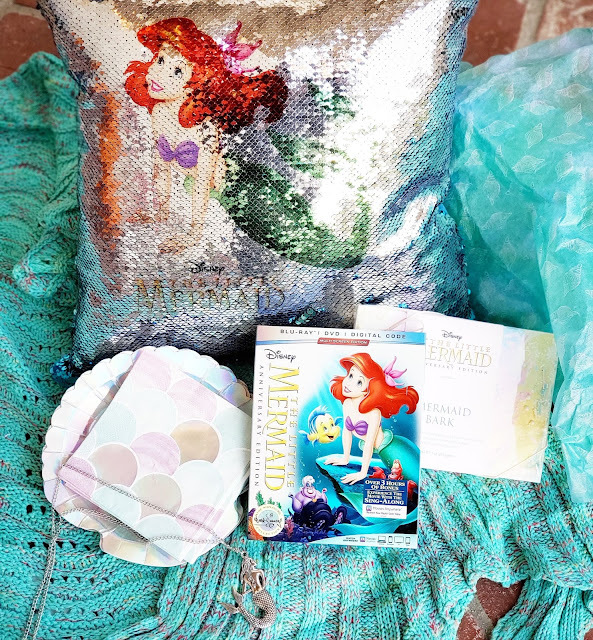 Join Alan,Jodi Benson (Ariel), Paige O’Hara (Belle), Judy Kuhn (Pocahontas Singing Voice), Lillias White (Calliope) andDonna Murphy (Mother Gothel) as we celebrate the music of their films in honor of the one that startedit all … “The Little Mermaid.” In this discussion, the ladies will share their memories of musically creatingtheir characters with Alan, discuss what it means to be part of the Disney Princess/leading lady legacy andcreate new memories as they sing with Alan around a baby grand piano. “What I Want From You…Is YOUR VOICE” – Enter the recording studio and get an inside look at thecast of “The Little Mermaid” in their original recording sessions. Stories From Walt’s Office – Gadgets & Gizmos – Like Ariel, Walt Disney was a collector of manydifferent things from miniatures to early mechanical characters that inspired the invention of audio-animatronics. We take a look at some the collections that Walt kept in his office in the third episode of this series. “Part of Your World” - A 30-Year Retrospective – Songwriter Alan Menken and Jodi Benson, the actingand singing voice of Ariel, sing the epitome of Disney “I Want” songs “Part of Your World” and discuss itsimpact since it was first heard 30 years ago. Classic Bonus Features – Over 3 additional hours of previously released classic bonus featuresincluding Deleted Scenes, Easter Eggs, Music Videos and more! All of this Disney Magic is right up our ocean (so easy to use puns with this one) and we hope you get to enjoy memories like this with your Disney family too. Share with hashtag #TheLittleMermaid and join in the social fun celebrating Ariel too! that pillow! ugh. i could get that as birthday presents for my nieces, and i'd be the best aunt EVER!